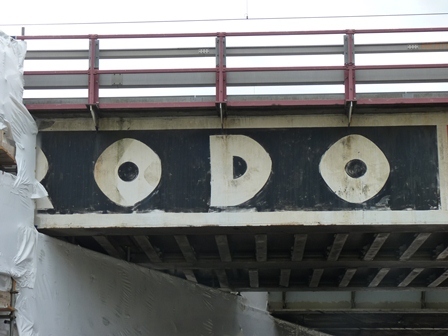 The Ferodo bridge is being repainted by Network Rail. Local councillors and Team Cally have worked with Network Rail to make sure the bridge retains a local identity and doesn’t just become a bland viaduct. Cllr Paul Convery has been central to this and written all about it. 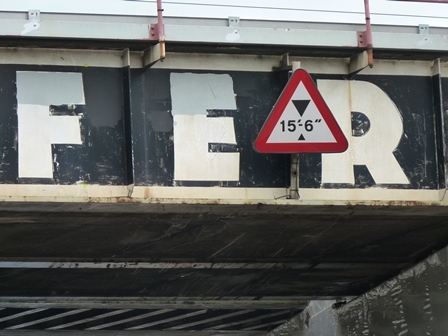 The bridge will be repainted as ‘The Cally’ using a font similar to the Ferodo one. There’s loads of trivia out there for those interested in these bridges the best of which is this creaky site with the history of the bridges and lots of photos of them that we linked to in 2006. This entry was posted in Community stuff, Transport. Bookmark the permalink.